JOHN GRANT GETS CLASSROOM MAKEOVER: Burovision’s ‘Get Inspired’ has provided John Grant High School in Côte Saint-Luc with a makeover of their classroom, library, and new senior student space. Last spring, John Grant, which caters to students with special needs, was chosen by Burovision’s “Get Inspired” team to receive a classroom makeover. Burovision is a contract office furniture dealership located in Montreal and Ottawa that sets up offices with state of the art furniture that encourages productivity in the workplace. The “Get Inspired” program has been making dreams come true since 2009, when the Burovision team realized that schools don’t have the budgets to enhance their learning spaces. They decided to roll up their sleeves and give back to the community. Every year, Burovision provides one school with a classroom makeover. This year, JGHS was selected as their ‘Get Inspired recipient. “When we found out that we were chosen, we felt like we had just won the lottery,” said Grace Fanelli, vice-principal at JGHS. Burovision came to JGHS to work on one classroom, but saw a great need, resulting in the refurnishing of three spaces. The new CASP (Competency-Based Approach to Social Participation) classroom, where students who are between the ages of 12 and 15 who have a moderate to severe intellectual impairment receive a specialized education suited to their needs, was redecorated with soothing yellow tones. Designed with the TEACCH method in mind, it is complete with communal and individual spaces where students can relax and have their quiet space. See the full press release. CTV COMMERCIALS: If you have not seen our CTV commercial yet, click here. OPEN HOUSES: The EMSB has enhanced its Open Houses website (www.emsbopenhouses.com). Please check it out. EMSB EXPRESS: The fall edition of the EMSB Express has been published. Inside you will find special four page sections on our new Nutrition Program, entitled Eat, Grow, Learn and a recap of our 2017 Volunteer Appreciation Evening with lots of photos. At 20 pages this is our largest edition ever. You can log on here to read it online. Presenting the cheque to the hospital. A LESSON WITH CHALLA: Congratulations to the students involved in this Royal Vale fundraising initiative. Eliane (Grade 4), Jonathan (Grade 2) and Nathaniel (Grade 1) and younger sister Talia Goldstein, with friends Marshall and Anderson Weinstein, baked challahs the weekend before the Jewish New Year (Rosh Hashana) weekend challas before the Jewish new Year (Rosh Ha'Shanna). “Teaching our kids the values of charity and helping others, we asked them what could we do and where will we donate the money and they decided before we started that it will be like a lemonade stand only we will bake instead,” said Liat Lev Ary, mom of Eliane, Jonathan, Nathaniel and Talia. “They wanted to donate the proceeds of the sale to the Children’s Hospital. The sale was virtual, done on Facebook, since it was raining. We started at 5 p.m. on a Sunday and by 8 p.m on Sunday we had to ‘close’ the sale as we baked 12 kg of flour and sold 75 loaves of the challas. The kids raised $435 by selling the challas and an anonymous donor doubled it so they ended up donating $835 which was presented to the hospital by the children. BUTTERFLY EDUCATION: Montreal has been hit with a swarm of butterflies these last few weeks. As a result Royal Vale School teacher Vanessa Harrar invited Stephanie Boucher from the Insectambulant to talk about the butterflies. 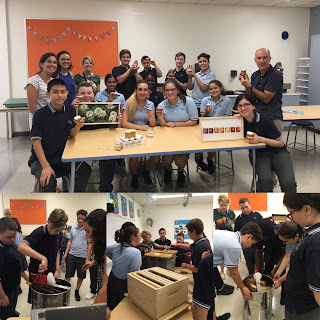 A BUZZ AT JPI: It's been buzzzzy at John Paul I Junior High School in St. Léonard. On Tuesday, Sept. 20, John Paul opened their Alvéole Bee Hive and students had the opportunity to extract and collect honey from the honeycombs. They were able to fill containers and taste the honey. JPI will be selling their organic and locally produced honey in the upcoming weeks. Listen for the buzz! Meanwhile, JPI welcomed its Secondary I students and families to a Welcome BBQ on September 12. JPI Staff cooked and served and welcomed them to the family. Games, inflatables, ice cream sandwiches and delicious food were enjoyed by all. Jace Lis-D'alessandro, Tim Fleiszer and a McGill student Abby McLelland talk to Merton student and past concussion sufferer Noah Notte. 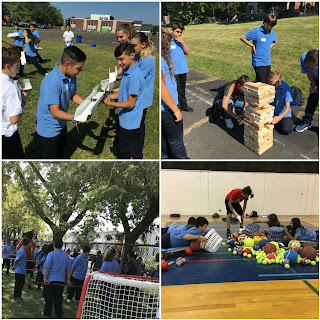 CONCUSSION AWARENESS: The EMSB, in partnership with the Concussion Legacy Foundation Canada, hosted a Team Up Speak Up Day (teamupspeakup.org) event on September 11 (9 am) at Merton Elementary School in Côte Saint-Luc. Team Up Speak Up is an international concussion education campaign designed to change the culture of concussions in sports by encouraging athletes to Speak Up if they think a teammate has a concussion. The EMSB is the first Canadian school board to sign on to the campaign, and others can do so at TeamUpSpeakUp.org. The goal is for every athlete to “Speak Up” to a coach or athletic trainer if they think another teammate might have a concussion. NHL Hall of Famer Eric Lindros, former pro football player Warren Sapp and former international soccer star Brandi Chastain are serving as Team up Speak up Ambassadors. Tim Fleiszer, Founder and Executive Director of Concussion Legacy Foundation Canada and a former CFL player, brought Team Up Speak Up to Canada after a successful launch last year in the United States. “I am amazed at the support that Team Up Speak Up received in its inaugural year. This is a program that everyone in sports can get behind to protect youth athletes.” Jace Lis-D'alessandro, a defenceman with the Junior AAA Arctic de Montréal Nord and a former Merton student, shared his experiences with concussions. Eleven year old student Noah Notte spoke about his two concussions. Abby McLellan, a Nordic skier who attends McGill, was another guest speaker. See the press release. CAREER FAIR: More than 2,000 Secondary V students will attend the 18th annual English Montreal School Board (EMSB) Career Fair on Wednesday, October 18 and Thursday, October 19 at St. Pius X Career Centre in Ahuntsic (9955 Papineau). Jack Dym of Pipe and Piling Supplies Ltd. and RBC Royal Bank are the event’s title sponsors. Several on air personalities from the media will be on hand to talk to students about careers in this field and serve as guest emcees: Eramelinda Boquer of CJAD, Catherine Verdon Diamond of City’s Breakfast TV, Cousin Vinny and Nikki from The Beat 925 FM, Tim Sargeant from Global News and Christine Long from CTV. From 6 p.m. to 8 p.m. on October 18, the Career Fair will be open to the community-at-large. Organizers note that this is a good opportunity for parents of Grades 9, 10 and 11 students to attend with their children as they look towards post-secondary education options. FACE TIME: On September 14, FACE School hosted its annual FACEtival to welcome back students and their parents. The school’s P.P.O organized the event and they had several activities such as face painting and music on a beautiful Thursday afternoon. Kindergarten student Leo and his mom. With the support from the Métis Project of Greater Montreal, Ensemble Caprice came to FACE School to showcase their talents alongside the Grade 6 students. All Grade 6 classes Music classes sang with the ensemble and explored a genre of unknown music, songs and Métis culture from the 18th to the 20th century. The students who attend the show loved the performances and appreciated the experience. LHA LAUNCHES APP: The beginning of the school year has been very exciting for students at LaurenHill Academy. As a BYOD school, LaurenHill Academy believes in integrating technology within the curriculum. Despina Michakis and David Servello, Vice Principals at the Senior Campus, have worked with a development company to create a customized school APP. This will allow students and its community to stay informed, organized and entertained. It provides parents with important school information such as the school calendar, school newsletter, teacher contacts and reminders. Students benefit from having the school athletic calendar, the daily school bulletin and their own student timetable at their fingertips all in one place. Everyone will be entertained by the live broadcasting of the LaurenHill student radio, The Voice, as well as links to the school YouTube channel offered within the LaurenHill Academy APP. Download it in the Appstore or Google Play today. 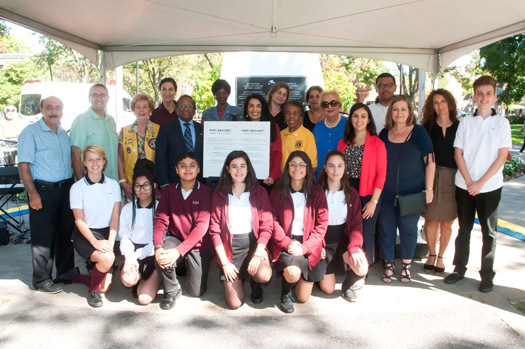 PEACE DAY: Recently, students at LaurenHill Academy, along with Spiritual Community Animator Elizabeth Pellicone accompanied a group of Secondary III students to the Arrondissement de Saint-Laurent International Day of Peace Ceremony in Parc Beaudet. Students opened the ceremony by reading a selection of peace quotes taken from various philosophers and important peace activists from around the world and throughout history. Quotes were taken from such figures as Malala Yousafzai, Jean Vanier, Saint Francis of Assisi, Helder Camara and John Lennon and read in various languages, including Greek, Spanish, Italian, Japanese, French and English. 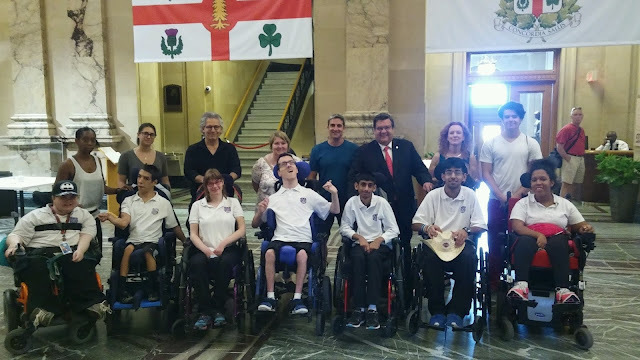 MACKAY STUDENTS MEET THE MAYOR: The Mackay Centre School Satellite Class at Westmount High (known as the Leaders on Wheels) travelled by Metro recently to view the exhibit on New France in the lobby of the Montreal City Hall. They were greeted above by Mayor Denis Coderre. There was lots of enthusiam for this event. UN DAY: Vincent Massey Collegiate in Rosemount rocked the United Nations Day of with a visit from Live Different and the Farewell Summer Tour. The tour addressed issues related to anxiety, the definition of success, and one's own self worth via compassionate care for others. Additionally, students discussed the messages of love, legacy, leading a life of compassion and reimagining greatness through class visits by Spiritual Community Animator Rocco Speranza. LBPHS ORIENTATION AND LEADERSHIP: Lester B. Pearson High School Secondary I students were welcomed into the family on August 30 when they held their annual Orientation Day. A dedicated committee from Student Council began working on plans over the summer and used the school’s leadership camp to pilot activities. On the first day of classes, Secondary I students were given tours of our facilities and got to know each other through ice breakers and experiential activities. The day ended with a pizza lunch and music on our track. The annual orientation day is organized in order to make transition to high school more seamless. When the Grade 7 students enter the building on the first day of classes, they do so with more confidence and ready to become members of the family. Keeping green in Montreal North. GREEN CORRIDOR: Students from Lester B. Pearson High School and Gerald McShane Elementary School in Montreal North spent time at the borough’s harvest day recently; celebrating their community and the environment. Harvest Day is part of the Green Corridor project, where the borough along with private sponsors created green spaces complete with recreational equipment, sitting and play areas, as well as vegetation. The Green Corridor covers 0.4 km where over 6,000 children, parents and teachers from five neighbourhood schools pass through on a daily basis. COOK FOR A CURE: Last year, three EMSB schools (Rosemount High School, Nesbitt and Gerald McShane Elementary) took part in the Cook for a Cure Gala. The proceeds of this event benefitted the Montreal Neurological Institute. Celebrity Chefs had an opportunity to vote for their favorite student inspired dish. The winner of last year’s friendly competition was Samantha Calabrese, a Rosemount High School student. Not only was Samantha the recipient of the Cook for a Cure grand prize, she was also asked by Breakfast Television to showcase her recipe on her return to school. Breakfast Television has asked Samantha to showcase her dish on Wednesday September 13th. Samantha’s dish aired during the September 13 morning segment on Breakfast Television. CHORALE SEASON: The EMSB Chorale’s 38th season was off to an exciting start as a group of 21 senior choristers sang in the world premiere of Matthias Maute’s Nonopera RR14 on September 13 at the Chapelle historique du Bon Pasteur with Ensemble Caprice, conducted by Maestro Maute. Regular season rehearsals started on September 9, and the Chorale has welcomed 29 new choristers so far, bringing the numbers up to 96. The last opportunity to audition for the chorale this fall is at the Saturday, September 30 rehearsal. Upcoming events include a performance of Carmina Burana (Senior Chorale) with the McGill Schulich School of Music choirs on October 25 at Pollack Hall, the annual fall camps, the chorale’s much-anticipated Holiday Concert on December 9 and an invitation to sing at the Montreal West Christmas Dinner for the town’s senior citizens on December 15. For audition information, contact conductor Patricia Abbott at pabbott@emsb.qc.ca or at 514-483-7200, ext. 7234. 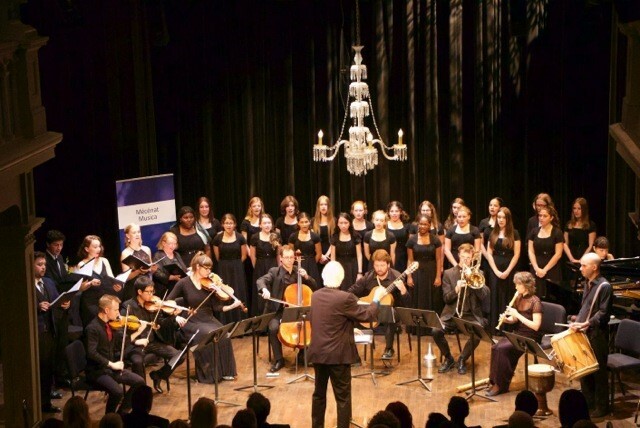 Some of the EMSB Chorale’s senior choristers performing at the Chapelle historique du Bon Pasteur on September 13 with Ensemble Caprice. WELCOME BACK IN TMR: The families of Carlyle Elementary School in Town of Mount Royal recently welcomed new Principal Sabrina Petrocco and celebrated the beginning of the new school year pictured above at their annual Back to School party. SHRINERS PROGRAM ON BULLYING: Nia, 12, is hemiplegic: she is completely paralyzed on the right side of her body. Jeffrey, 18, was born without a right hand or right foot. Saoud, 15, has spina bifida: he was born with an incomplete spinal cord. All three are patients at Shriners Hospitals for Children® – Canada. Because of their handicaps, all three faced years of bullying. Canada Shriners Hospital joined the fight against bullying with its #CutTheBull campaign because Nia, Jeffrey and Saoud are far from alone. Children with visible scars or disabilities are twice as likely to be bullied, meaning many of the hospital’s patients face this difficult issue. Acknowledging that bullying is an issue most of us are faced with at some point in our lives, Canada Shriners Hospital has developed an anti-bullying presentation to give in schools, both at the elementary and high school levels. Jeffrey, Nia or Saoud offer students a presentation in which they talk about their life with a handicap, their bullying experience and how they overcame it. A hospital spokesperson then defines bullying, demystifies facts and myths and tells the students what to do if they witness or are faced with bullying, whether in person or cyber bullying. The EMSB has been particularly supportive of the hospital’s initiative and all content was developed in collaboration with Daphna Leibovici, violence prevention specialist at the EMSB. Over the past year and a half, Jeffrey has spoken at Cedarcrest, Dante, Dunrae Gardens, Edinburgh, Hampstead, Honoré Mercier, Parkdale and Roslyn. At each school, students listened remarkably well (even those fiesty kindergardeners) and peppered both Jeffrey and the spokesperson with questions demonstrating a real interest for the topic and for the opportunity to speak with a teen who has overcome bullying. This fall, with the official launch of Canada Shriners Hospital’s #CutTheBull campaign across Canada, the three patients will be touring schools again, Edinburgh, Leonardo da Vinci Academy and Parkdale already having booked slots. For more information about Shriners Hospitals for Children’s campaign, go to www.cutthebull.org. If you’d like to ask your principal to host Nia, Jeffrey or Saoud at your school, please have them contact Caroline Phaneuf at cphaneuf@shrinenet.org. CBC BOOKS: CBC Books is launching a new creative writing challenge for students! The challenge: Students in Grades 7 to 9 and Grades 10 to 12 are invited to submit an original first page of an imaginary novel set in 2167, with the protagonist facing an issue that is topical today. The first page will set the scene for how the issue or trend plays out 150 years from now. Submissions open on Nov. 9, 2017 at 9 a.m. and close November 30, 2017 at 6 p.m. Submissions must include the first page (300–400 words) and the novel title. Prizes: Each category winner receives a one-year subscription to OwlCrate, a book subscription service, plus their school library receives 50 free Young Adult books. Bestselling YA writer Erin Bow, author of The Scorpion Rules will be the judge. Info: CBCbooks.ca , cbcbooks@cbc.ca and jane.van-koeverden@cbc.ca. LEARN BROCHURE: LEARN is a non-profit educational organization with a mandate to serve the English-speaking community of Quebec. LEARN accomplishes this by offering a wide range of resources and services. These services and resources include elementary and secondary level teaching tools and content; professional learning; community, school and parental support; as well as a full range of online services through the LEARN Virtual Campus. The Virtual Campus includes online classes for students across the province, personalized tutorials, summer school, as well as customized programs that are developed in concert with schools and school boards. All of LEARN’s efforts are intended to contribute to student retention, academic success and strong English-speaking communities. See their brochure on our website. SCIENCE JOURNALISM WORKSHOP: Four EMSB students, Tristan St. Victor in Grade 6 at FACE, Sy Evensen-Watson in Grade 5 at Pierre-Elliot Trudeau Elementary School in Rosemount and Jacob Rodrigo and Gio Park, both in Grade 6 at Carlyle Elementary in TMR, were chosen to take part in an exciting new Science Journalism workshop hosted by Broad Science in collaboration with Let's Talk Science McGill and CKUT 90.3 fm. Each student was matched up with a McGill faculty scientist and asked to research their scientist's field of study. On the morning of the workshop, the students learned interviewing and radio production skills with McGill graduate students and the CKUT station coordinator. In the afternoon, they finally got to meet and interview their scientists, who reported being "blown away" by the kids' enthusiasm and scientific knowledge. Great fun was had by all! The individual interviews can be heard on the Broad Science website: https://www.broadscience.org/broad-science-youth. Here is the broadcast. 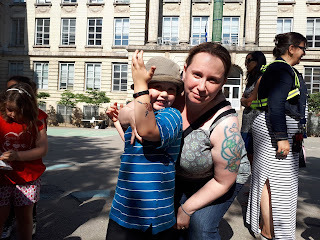 “This is a great example of our bright, enthusiastic, bilingual kids out in the world,” says Heather Barton, the mom of Jacob. http://www.blacktheatreworkshop.ca/nominate-a-young-artist/. Deadline for submissions by mail or email is October 31, 2017. LITERARY CONTEST: The Royal Canadian Legion, Quebec Provincial Command, has awarded Galileo Adult Education Centre student Derya Alexandra Ataol second place in Quebec for her Remembrance Day poem. Derya was inspired to write her winning poem after the Galileo Remembrance Day celebration, featuring soldier Robert Werbiski. His presentation on the Husky Operation in Sicily from July 10 – August 17, 1943 during the Second World War, resonated with Derya. Her submission was made to the Royal Canadian Legion- Quebec Provincial Command, and was accepted as part of the literary contest for youth across Canada in the senior category. Derya has demonstrated that she is a talented poet and we wish her much success in her future writing endeavors. We are very proud of her!! LEADERS AND LEARNERS: Galileo Adult Education Centre in Montreal North is featured in the July 2017 issue of Leaders and Learners, an exclusive national magazine distributed to school administrators across Canada. The article appears from pages 33-35 and presents the various educational programs offered at Galileo. The focus of the piece is healthy schools, healthy communities and healthy futures. School-wide social integration is highlighted throughout the commentary and illustrates Principal Martina Schiavone’s vision; “On Bouge, On Danse, On Marché, On Mange Bien.” A brain-based pedagogy is the foundation of the learning that takes place at Galileo in all programs in which all students and teachers work and participate collectively. We are fundamentally exhibiting the many healthy ways that learning and social integration unfolds and the sense of well-being it beholds through the various activities and events that makes up the multi- faceted educational programs available at Galileo Adult Centre. See the link here. CORN ROAST: On September 21, Galileo hosted its fifth annual Welcome Back Corn Roast. This event is a tradition that infuses students with a sense of belonging as well as providing a pedagogical activity that focuses on social integration and language acquisition while enjoying Quebec’s historical corn harvest season. 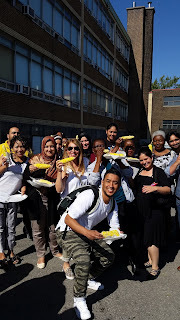 Students from all three programs; SIS, CCBE and Academic came together to husk the corn, set the tables and serve the corn while interacting amongst themselves and teachers. In the spirit of Galileo’s wellness philosophy “we move, we walk, we dance and we eat well” everyone celebrated the beautiful last day of summer learning about each other and traditional values of Quebec’s agricultural glory – corn. LISTE DES ÉCOLES: Pour obtenir la liste complète de nos écoles/centres, des numéros de téléphone, adresses et directions, cliquez ici. TERRAIN MAURO BIELLO : L’Académie internationale Marymount située au 5100, ch. de la Côte-Saint-Luc à NDG inaugurera officiellement le terrain Mauro Biello à l’occasion d’une cérémonie qui aura lieu le mardi 3 octobre, à 10 h, en présence de cet ancien élève et entraîneur-chef de l’Impact de Montréal. 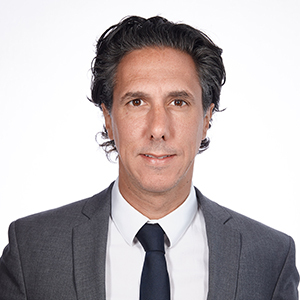 Mauro Biello a fréquenté Marymount de 1984 à 1989 et a fait ses études primaires à l’école St. Monica. Ses enfants fréquentent actuellement des écoles de la CSEM. M. Biello en est à sa deuxième saison à titre d’entraîneur-chef de l’Impact et de directeur du personnel des joueurs. Sa nomination remonte au 11 novembre 2015, après qu’il eut occupé pendant trois mois le poste d’entraîneur-chef par intérim. Il fait partie du personnel d’entraîneurs de l’Impact depuis maintenant huit ans, dont quatre en tant qu’entraîneur adjoint dans la Ligue majeure de soccer (MLS), au terme d’une carrière de dix-neuf saisons comme joueur professionnel, notamment seize dans l’uniforme de l’Impact. Il compte à son actif 389 matchs en carrière et 28 076 minutes de jeu avec la formation montréalaise où il a récolté 77 buts et 67 mentions d’aide pour un total de 221 points (saison régulière, séries éliminatoires et matchs de championnat). Il a conclu sa carrière au premier rang du club au chapitre des matchs joués, des départs, des minutes jouées, des buts, des mentions d’aide, des points, des buts vainqueurs et des tirs au but. States Holocaust Memorial Museum à Washington, D.C. L’an dernier, les récipiendaires étaient Lev Berner du Collège Vincent Massey de la CSEM à Rosemont; Anne-Marie Jacob du Collège Jésus-Marie de Sillery à Québec et Stephanie Kessler du Collège Reine-Marie à Montréal. Ils se sont rendus à Washington en juillet. Le couple Hecht souhaite également féliciter Melanie Philip, enseignante au Centre Mackay de la CSEM à NDG, et Audrée Anne Dupont, enseignante à l’école primaire Merton de la CSEM à Côte Saint-Luc. 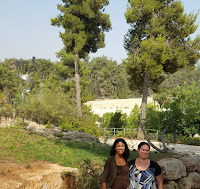 Elles sont toutes deux récipiendaires d’une bourse Hecht qui leur a permis de participer à un programme de perfectionnement professionnel en juillet, sous la direction de la Faculty of the Yad Vashem Seminars for Educators from Abroad, International School for Holocaust Studies. Ce programme a pour but d’offrir des activités de perfectionnement professionnel à ceux et celles qui enseignent l’Holocauste et l’antisémitisme. À leur retour à Montréal, les récipiendaires de ces bourses ont conçu au moins une unité ou un module d’enseignement à partir des connaissances acquises, en conformité avec le régime pédagogique. SENSIBILISATION AUX COMMOTIONS CÉRÉBRALES: La Commission scolaire English-Montréal (CSEM), en partenariat avec la fondation Concussion Legacy Foundation Canada, a tenu une journée Team Up Speak Up (teamupspeakup.org) le 11 septembre (à 9 h) à l’école primaire Merton de Côte Saint-Luc. La campagne internationale de sensibilisation aux commotions cérébrales, Team Up Speak Up, vise à changer la culture à l’égard de ce phénomène dans le sport en incitant les athlètes à prendre la parole s’ils croient qu’un coéquipier pourrait être victime d’une commotion. La CSEM est la toute première commission scolaire au Canada à prendre part à cette campagne. Ceux qui veulent lui emboîter le pas n’ont qu’à visiter TeamUpSpeakUp.org. L’objectif vise à ce que tout athlète qui croit qu’un coéquipier pourrait avoir subi une commotion en informe son entraîneur ou l’un des membres du personnel d’entraînement. Eric Lindros, membre du Temple de la renommée de la LNH; Warren Sapp, ancien joueur de football professionnel ainsi que l’ex-vedette internationale de soccer, Brandi Chastain, agissent à titre d’ambassadeurs de Team Up Speak Up. Tim Fleiszer, ex-joueur de la CFL, est fondateur et directeur général de Concussion Legacy Foundation Canada. Il a lancé l’initiative Team Up Speak Up au Canada dans la foulée du succès remporté l’an dernier à la suite du lancement aux États-Unis. « Je suis ébloui devant l’appui qu’a reçu Team Up Speak Up dès sa première année d’existence. Tous ceux qui évoluent dans l’univers des sports peuvent se rallier à ce programme dans le but de protéger les jeunes athlètes. » Jace Lis-D'alessandro, défenseur de l’Arctic de Montréal-Nord dans la Ligue de hockey junior AAA et ancien élève de l’école Merton, a partagé son expérience avec les commotions cérébrales. Noah Notte, jeune élève âgé de onze ans, a parlé de ses deux commotions. Abby McLellan, adepte du ski nordique qui étudie à l’Université McGill, figurait également parmi les conférenciers invités. Lire le communiqué de presse. FOIRE DES CARRIÈRES: Plus de 2 000 élèves de cinquième secondaire prendront part à la 18e édition annuelle de la Foire des carrières de la Commission scolaire English-Montréal (CSEM) le mercredi 18 octobre au Centre de carrières St. Pius X situé au 9955, avenue Papineau. Jack Dym de Pipe and Piling Supplies Ltd. et la Banque Royale RBC sont les commanditaires en titre de cet événement. Plusieurs personnalités des médias seront sur place pour renseigner les élèves sur les carrières dans ce domaine et agiront à titre de maîtres de cérémonie : Eramelinda Boquer de CJAD, Catherine Verdon Diamond de Breakfast TV de City et les animateurs Vinny et Nikki de The Beat 92.5 FM,La Foire des carrières sera ouverte au grand public le 18 octobre, de 18 h à 20 h. Les organisateurs tiennent à souligner qu’il s’agit là d’une excellente occasion pour parents et élèves de se renseigner sur les options postsecondaires qui s’offrent à eux. Harriet Cohen des Services de l’éducation des adultes et de la formation professionnelle (SÉAFP) préside le comité de la Foire des carrières. Les Services aux élèves et les SÉAFP de la CSEM coordonnent ce programme. Mme Cohen souligne que l’objectif principal de la Foire des carrières vise à sensibiliser les élèves aux divers programmes d’enseignement qui s’offrent à eux. Tous les élèves assisteront à une brève séance d’information générale dans l’auditorium du Centre de carrières St. Pius X. Ils auront ensuite l’occasion de visiter les divers kiosques d’information/d’exposition et de s’entretenir avec des représentants des centres de formation professionnelle, des cégeps, universités et de certains collèges privés. LANCEMENT D’UNE APPLICATION MOBILE À L’ACADÉMIE LAURENHILL: La rentrée scolaire a été très excitante pour les élèves de l’Académie LaurenHill. De par son approche PAP, l’Académie LaurenHill croit à l’intégration de la technologie au curriculum. Despina Michakis et David Servello, directeurs adjoints du campus senior, ont travaillé en collaboration avec une entreprise spécialisée afin de créer une application mobile personnalisée pour l’école. Cette application permettra aux élèves et à toute la communauté de l’école d’être bien informés, organisés et de se divertir. Elle procure aux parents de précieux renseignements, notamment le calendrier scolaire, l’infolettre de l’école, les coordonnées des enseignants ainsi que des rappels. Elle est également fort utile puisqu’elle permet aux élèves d’avoir au bout des doigts le calendrier sportif de l’école, les messages quotidiens de l’Académie et leur propre horaire. La diffusion en direct de la radio étudiante de LaurenHill, de La Voix (The Voice) et les liens vers le canal YouTube de l’école ne manqueront pas de divertir tous les utilisateurs. Téléchargez sans tarder cette application disponible sur l’Appstore ou GooglePlay. CUISINER POUR LA CAUSE: L’an dernier, trois écoles de la CSEM – l’école secondaire Rosemont et les écoles primaires Nesbitt et Gerald McShane – ont participé au Gala Cuisiner pour la cause. Les fonds recueillis lors de ce gala ont été versés à l’Institut neurologique de Montréal. Des chefs renommés ont pu voter pour leur plat préféré préparé par les élèves. Samantha Calabrese, étudiante à l’école secondaire Rosemont, a été couronnée vainqueur de cette compétition amicale. Outre le grand prix qu’elle a remporté dans le cadre du gala Cuisiner pour la cause, Samantha a été invitée à présenter sa recette le mercredi 13 septembre sur les ondes de Breakfast Television. Vous pouvez voir la vidéo à http://www.btmontreal.ca/videos/teaching-kids-to-cook-and-the-art-of-eating. CORRIDOR VERT: Les élèves de l’école secondaire Lester B. Pearson et ceux de l’école primaire Gerald McShane à Montréal-Nord ont pris part dernièrement à la Fête des récoltes de l’arrondissement, profitant ainsi de l’occasion pour célébrer leur communauté et l’environnement. La Fête des récoltes s’inscrit dans le projet Corridor vert où l’arrondissement, avec l’appui de commanditaires du secteur privé, a créé des espaces verts aménagés qui proposent des équipements récréatifs, des zones de détente et de jeu, de même que de la végétation. Le Corridor vert couvre une superficie de 0,4 km2 qu’empruntent chaque jour plus de 6 000 enfants, parents et enseignants de 5 écoles de quartier. FORMATION DES ENSEIGNANTS SUR L’HOLOCAUSTE: Le Riva and Thomas O. Hecht Scholarship Program a pour mission de promouvoir la formation des enseignants québécois concernant l’Holocauste. Ce programme de bourses vise à offrir des occasions de perfectionnement professionnel aux enseignants par l’entremise de la Belfer National Conference for Educators qui se tient au United States Holocaust Memorial Museum à Washington, D.C. L’an dernier, les récipiendaires étaient Lev Berner du Collège Vincent Massey de la CSEM à Rosemont; Anne-Marie Jacob du Collège Jésus-Marie de Sillery à Québec et Stephanie Kessler du Collège Reine-Marie à Montréal. Ils se sont rendus à Washington en juillet. Le couple Hecht souhaite également féliciter Melanie Philip, enseignante au Centre Mackay de la CSEM à NDG, et Audrée Anne Dupont, enseignante à l’école primaire Merton de la CSEM à Côte Saint-Luc. 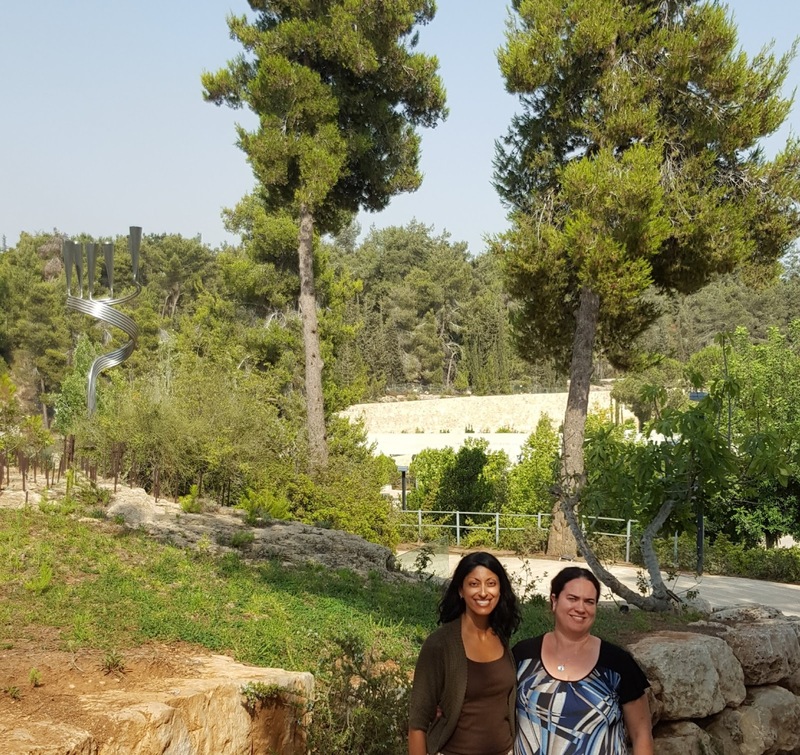 Elles sont toutes deux récipiendaires d’une bourse Hecht qui leur a permis de participer à un programme de perfectionnement professionnel en juillet, sous la direction de la Faculty of the Yad Vashem Seminars for Educators from Abroad, International School for Holocaust Studies. Ce programme a pour but d’offrir des activités de perfectionnement professionnel à ceux et celles qui enseignent l’Holocauste et l’antisémitisme. À leur retour à Montréal, les récipiendaires de ces bourses ont conçu au moins une unité ou un module d’enseignement à partir des connaissances acquises, en conformité avec le régime pédagogique. PROGRAMME SHRINERS SUR L’INTIMIDATION: Nia, 12 ans, est hémiplégique : elle est complètement paralysée du côté droit de son corps. Jeffrey, 18 ans, est né sans main droite ni pied droit. Saoud, 15 ans, est atteint de spina bifida : il est né avec une moelle épinière incomplète. 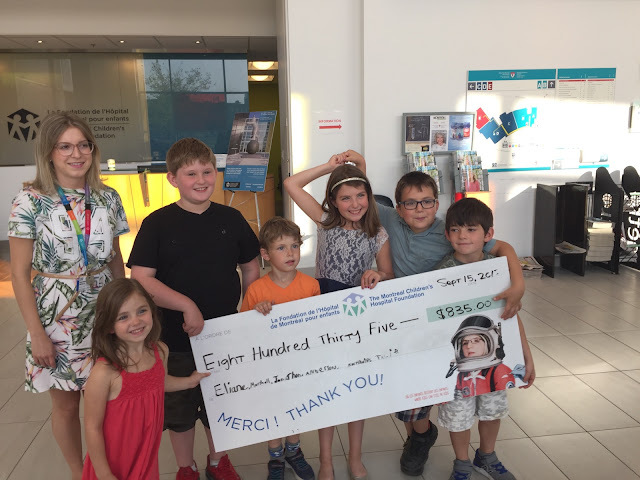 Ces trois jeunes sont des patients des Hôpitaux Shriners pour enfants du Canada. Ils ont fait face à des années d’intimidation en raison de leur handicap. L’Hôpital Shriners du Canada s’est engagé dans la lutte contre l’intimidation avec sa campagne #LIntimidationCNon parce que Nia, Jeffrey et Saoud sont loin d’être les seules victimes. Les enfants ayant des handicaps ou des cicatrices visibles sont deux fois plus susceptibles d’être intimidés, ce qui signifie que bon nombre de nos patients sont confrontés à ce problème difficile. Conscient que la plupart des gens font face à l’intimidation à un moment de leur vie, l’Hôpital Shriners du Canada a préparé une présentation contre l’intimidation à l’intention des écoles primaires et secondaires. Jeffrey, Nia ou Saoud y parlent de leur vie avec un handicap, de leur expérience avec l’intimidation et de la manière dont ils l’ont surmontée. Un porte-parole de l’hôpital explique ensuite ce qu’est l’intimidation, démystifie les faits et enseignent aux élèves ce qu’il faut faire s’ils sont victimes ou témoins d’intimidation dans le monde réel ou sur Internet. La Commission scolaire English-Montréal s’est montrée particulièrement favorable à cette initiative mise sur pied par l’hôpital et tout le contenu a été développé en collaboration avec Daphna Leibovici, spécialiste de la prévention de la violence à la CSEM. Au cours des dix-huit derniers mois, Jeffrey s’est adressé aux élèves des écoles Cedarcrest, Dante, Dunrae Gardens, Edinburgh, Hampstead, Honoré Mercier, Parkdale et Roslyn. Chaque fois, les élèves se sont montrés très attentifs (même les plus turbulents de la maternelle) et ont bombardé Jeffrey et le porte-parole de questions qui démontrent leur réel intérêt pour ce sujet et leur curiosité à s’adresser à un adolescent ayant réussi à surmonter l’intimidation. Cet automne, avec le lancement officiel pancanadien de la campagne #LIntimidationCNon de l’Hôpital Shriners du Canada, les trois patients feront de nouveau la tournée des écoles. L’école Edinburgh, l’Académie Leonardo da Vinci et l’école Parkdale ont déjà réservé leur date. Pour de plus amples renseignements au sujet de la campagne des Hôpitaux Shriners pour enfants, visitez le www.cutthebull.org. Pour accueillir à votre école Nia, Jeffrey ou Saoud, veuillez demander à votre direction de communiquer avec Caroline Phaneuf à cphaneuf@shrinenet.org. UNE ÉLÈVE DE GALILEO SE DISTINGUE : La Légion royale canadienne – Direction provinciale du Québec a décerné à Derya Alexandra Ataol, élève à Galileo, la deuxième place au Québec pour son poème du jour du Souvenir. L’inspiration lui est venue après avoir assisté, à Galileo, à la célébration du jour du Souvenir honorant le soldat Robert Werbiski. La présentation sur l’opération Husky en Sicile, qui s’est déroulée du 10 juillet au 17 août 1943 durant la Seconde Guerre mondiale, a trouvé écho auprès d’elle. Elle a présenté son poème à la Légion royale canadienne – Direction provinciale du Québec et a été acceptée dans le cadre du concours littéraire canadien pour les jeunes, dans la catégorie senior. Derya a démontré qu’elle est une poète talentueuse et nous lui souhaitons un franc succès dans ses projets d’écriture à venir. Nous sommes tous très fiers d’elle! LE CENTRE D’ÉDUCATION DES ADULTES GALILEO EN VEDETTE DANS LEADERS & LEARNERS: Le Centre d’éducation des adultes Galileo fait l’objet d’un article dans le numéro de juillet 2017 de Leaders and Learners, un magazine national exclusif distribué aux directions d’écoles à la grandeur du pays. Il y a de quoi être fiers! L’article figure aux pages 33 à 35 et dresse un portrait des divers programmes d’études offerts au Centre d’éducation des adultes Galileo. On y met l’accent sur la santé des élèves, des écoles et des perspectives d’avenir. L’intégration sociale à l’échelle de l’école est mise en évidence dans cet article et illustre bien la vision de la directrice Mme Martina Schiavone : « On Bouge, On Danse, On Marche, On Mange Bien ». Une approche pédagogique fondée sur le fonctionnement du cerveau est au cœur de l’apprentissage au Centre de l’éducation des adultes Galileo, et ce, dans tous les programmes où élèves et enseignants travaillent et participent collectivement. Les bienfaits de l’apprentissage et de l’intégration sociale sont flagrants chez les élèves et la panoplie d’activités et d’événements que proposent les programmes multifacettes offerts au Centre d’éducation des adultes Galileo est favorable au développement d’un sentiment de bien-être. The next Focus will be published on October 26. Submissions should be made to Michael J. Cohen preferably by e-mail (mcohen@emsb.qc.ca) by October 20 at Noon. Acheter pilule pour bander en ligne pas cher !